there were regular updates on facebook about where we were, what we were doing and also what we were eating. if you haven’t caught it you still can by visiting fbl.me/mtga to check out the pictures or else wait up some posts are coming up right here for sure! 3 days after i was back at my desk at home, it was great to receive a copy of Travel Plus (India Today) with my article in it! there are a couple of huge editing guffaws, few lines unceremoniously ditched which means there are leaps that the reader might not be able to get. or maybe you will and it’s just me that saw the need for a connecting line, and if you think so, then let me know i am worrying without cause. eitherways, i’m all smiles and super proud. it’s just two articles in print magazines so far, but a slow and steady start maybe? click to read more. p.s. i loved that greeting. it is maori greeting from new zealand that means hi, and can even be used to say bye or thank you. i’m saying all three to you. 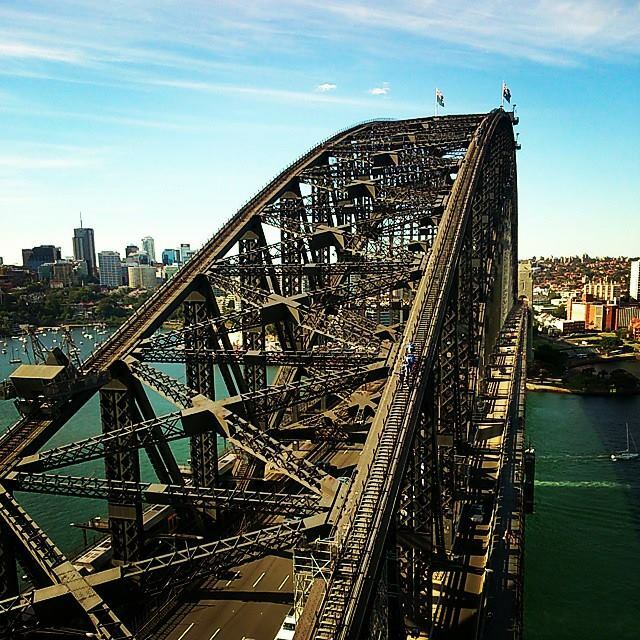 the sydney harbour bridge, more pictures and stories coming soon soon soon! Wow this is so awesome! Congrats!